Secures and holds plants in place. Gentle on delicate plant stems. Easy to cut and reusable. 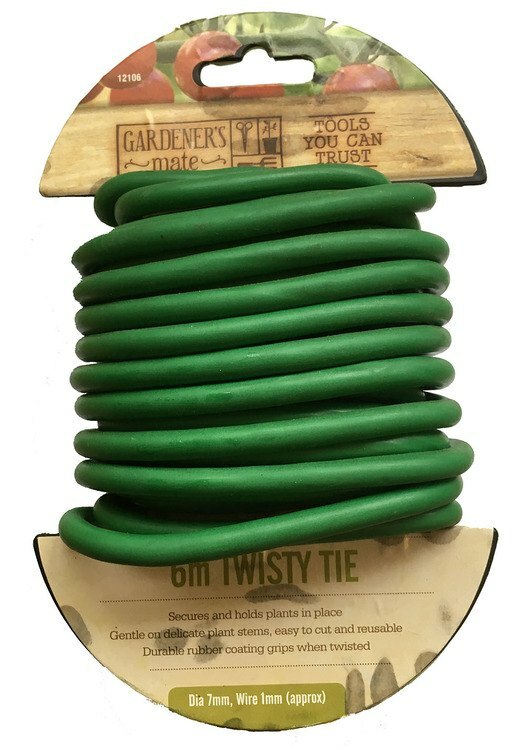 Durable rubber coating grips when twisted.